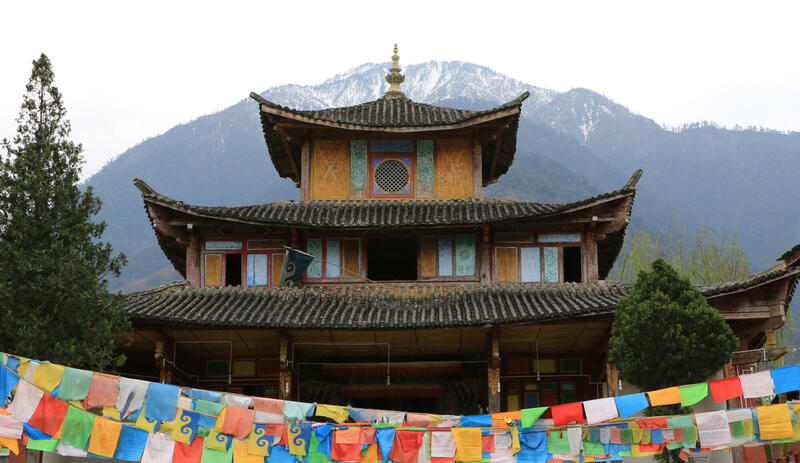 Situated in the remote northwest highlands of Yunnan, the Nujiang Valley is home to some of the most stunning landscapes, interesting hiking routes and fascinating local cultures the province has to offer. 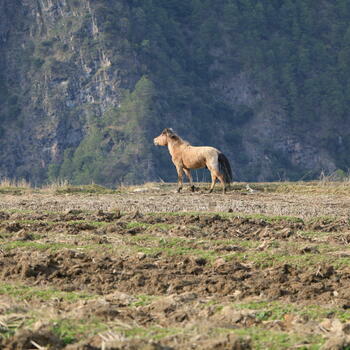 It also has a reputation for being one of the least accessible areas of Yunnan, especially for foreign tourists. 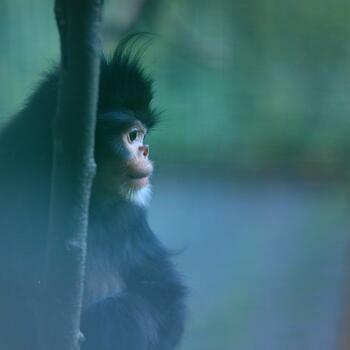 Because of its relative seclusion, the region is famed for its biodiversity, and by some accounts is home to a greater array of wildlife than anywhere else in the country. 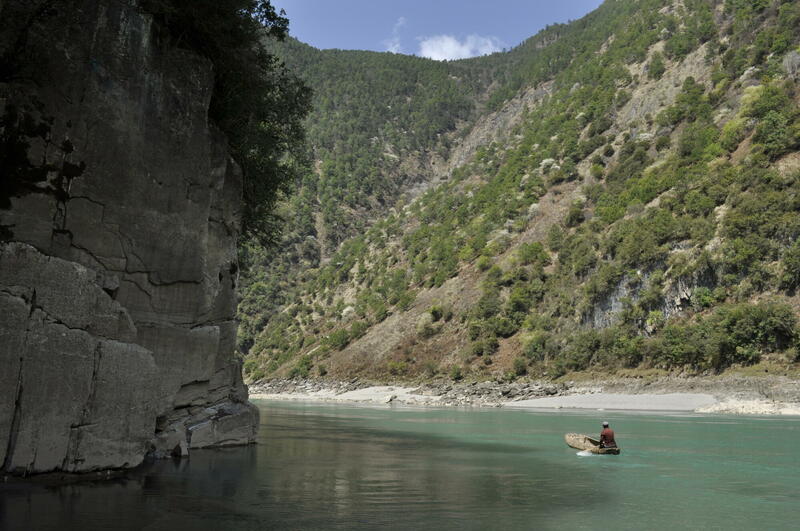 The 'Grand Canyon of the East', as Chinese are fond of calling it, is truly a fascinating destination. We got in touch with longtime GoKunming contributor and tour operator Sun Fei, who helped us produce a quick guide to Nujiang Prefecture for those keen to explore one of the province's hidden gems, following the eponymous river as is runs north to south. Gongshan Dulong and Nu Autonomous County (贡山独龙族怒族自治县) is the northernmost part of Nujiang Prefecture and the northernmost extent of the Gaoligong Mountains (高黎贡山). Rainfall levels in Gongshan are among the highest in China, and the climate varies throughout the year from subtropical to frigid. 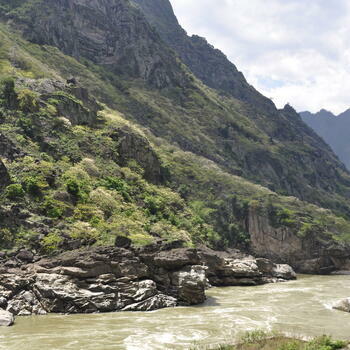 The county's three individual mountain ranges and two parallel rivers — the Nu (怒江) and Dulong (独龙江) — are home to incredibly unique varieties of wildlife, including rare species of monkeys, bears and mountain goats. The town of Cikai (茨开) sits in the southeast portion of the county. The Nu language is widely spoken amongst the town's 10,000 or so residents. 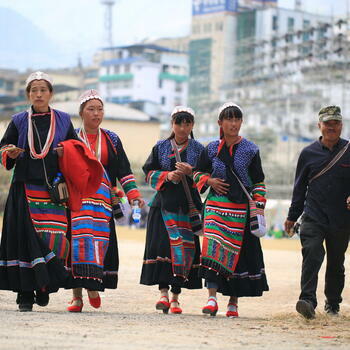 In fact, because of the rugged terrain, the entirety of Gongshan County only has a population of 37,000 people. There is one main road in Cikai, and a ten-minute ride in a car is enough to circle the whole place. The Tibetan dance halls are great options for trying local food, hanging out in the evening and for sampling shuijiu, a homemade liquor distilled from corn, barley or buckwheat. 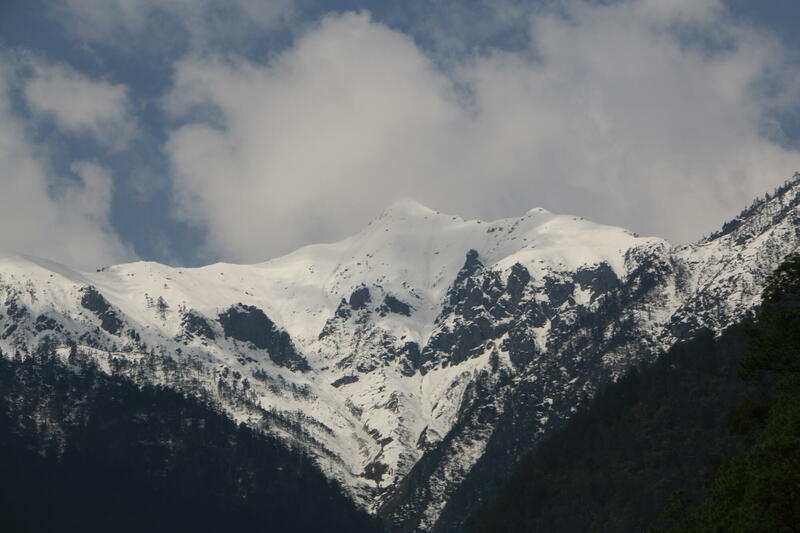 The town of Bingzhongluo (丙中洛) is 30 kilometers north of Cikai, close to the Tibetan border. 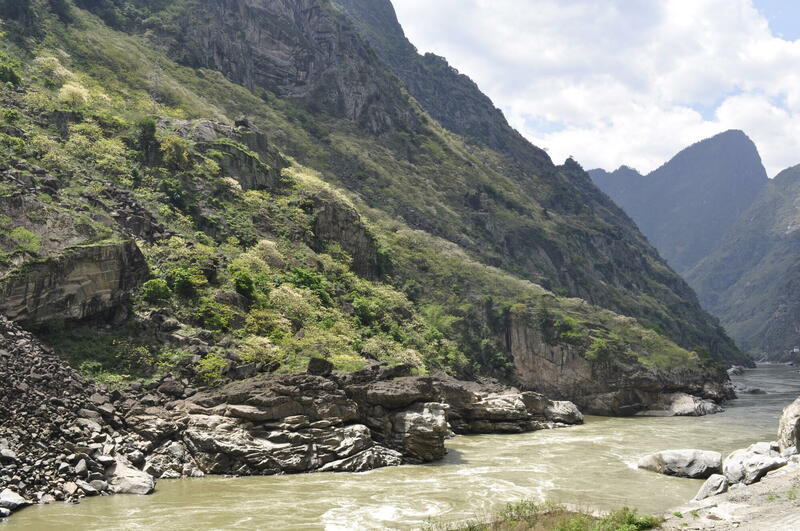 From Bingzhongluo it's a morning or afternoon hike north to the Stone Gate (石门), a pair of high boulders with sheer cliffs flanking the riverbanks. 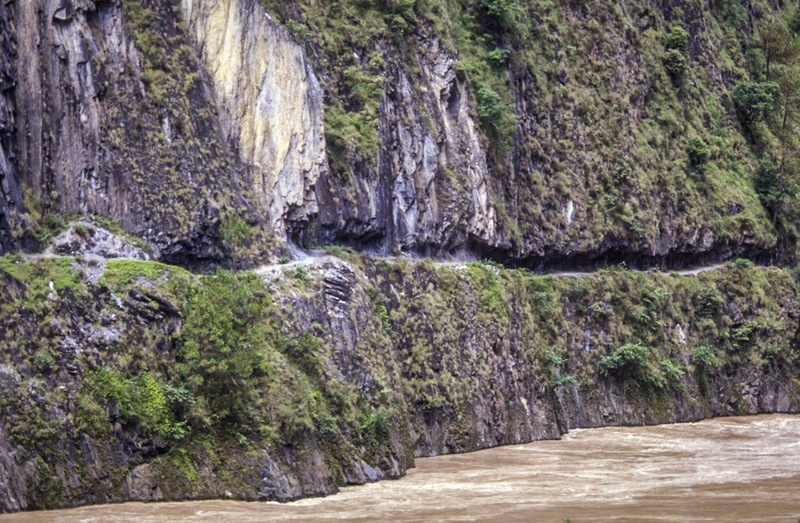 A road has been cut through the cliff on the western side, and it continues another ten kilometers to Qiunatong (秋那桶), just beyond Wuli Village (雾里村). Cut off by a sheer rock face from Qiunatong, centuries ago people hollowed out a stunning if slightly claustrophobic trail directly into the cliff through which residents and trade caravans could pass. 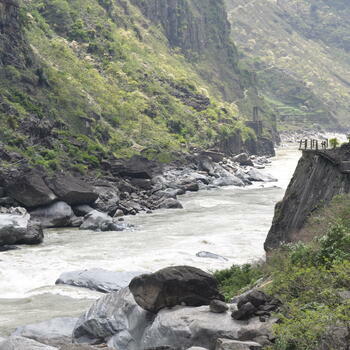 There are several other nearby tourist attractions, probably the most famous being the 'First Bend' in the Nujiang River (怒江第一湾). 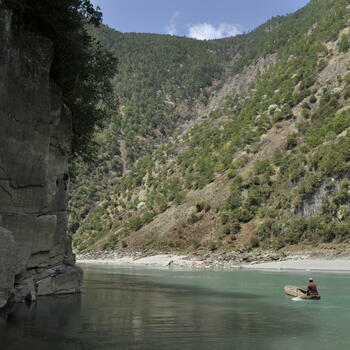 There, the river encircles a small area of land while turning 180 degrees in only a few hundred meters, with beautiful high cliffs providing a vantage point for sightseers. 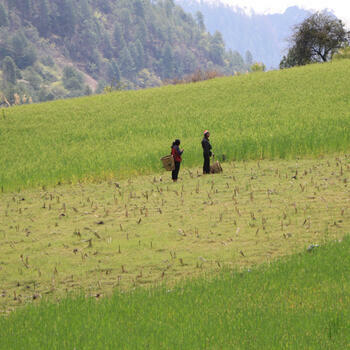 The previously mentioned Wuli Village is five kilometers north of Bingzhongluo. It is a lovely place to stop for those pushing toward the border with Tibet, with its picturesque setting and traditional slate-roofed log houses. Other popular attractions include hugely sloped terraced mountainsides outside of Bingzhongluo and the Naqiangluo Canyon (那呛洛峡谷). 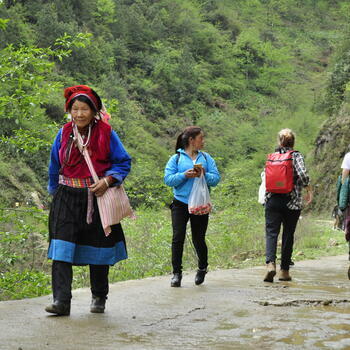 Visitors who want to get as close as possible to the Tibetan border can take the cliff trail from Bingzhongluo to the village of Qiunatong (秋那桶) and see its famous Catholic church. 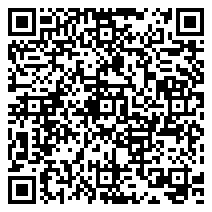 For anyone interested in serious hiking around the Gongshan area, below are two fantastic options. It is always best to consult locals before setting out regarding trail details. Weather in any mountain range can change quickly, as can trail conditions. Know exactly where you are headed and ask questions. 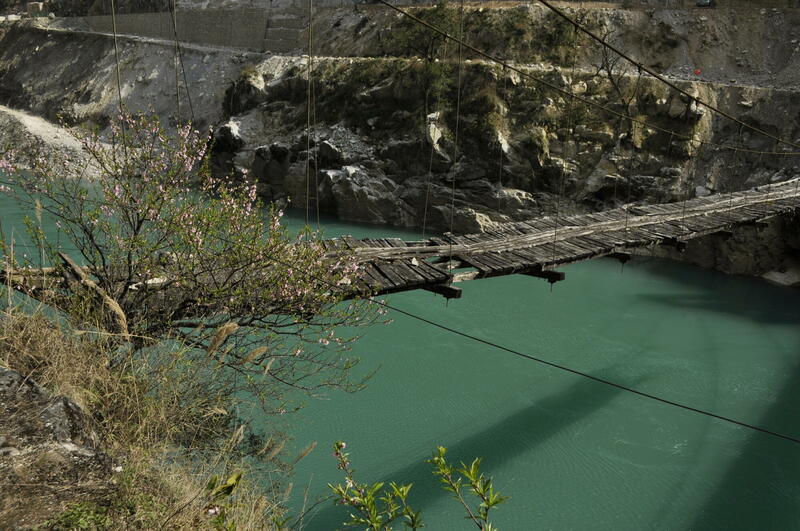 • Biluo Mountain Hike: This trek begins in Lazan Village (腊咱村), which is 30 kilometers downstream from Gongshan. People in Lazan can direct you to the trailhead. 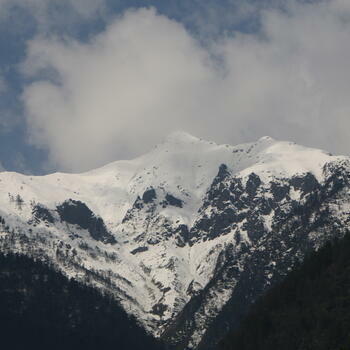 The route goes up and over the Biluo Snow Mountain Range (碧罗雪山). The endpoint is Yanwa Village (岩瓦村) by the banks of the Lancang River (澜沧江). The hike takes one day for the speedy and two for those focused on enjoying the scenery. • The Church Hike: This route connects Dimaluo Village (迪麻洛村) to the town of Cizhong (茨中村). Both places are predominately Catholic and feature churches built more than 100 years ago by European missionaries. The hike should take three to four days. There are guides in the area familiar with these routes who also manage lovely alpine refuges deep in the mountains. 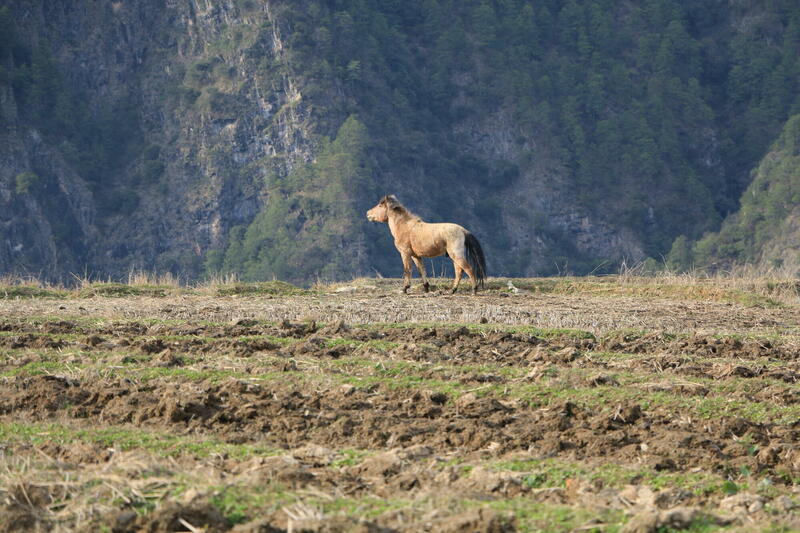 Travelers who don't want to carry camping gear themselves are encouraged to rent a mule caravan and accommodation in the mountains before setting out, all of which can be accomplished in Dimaluo. 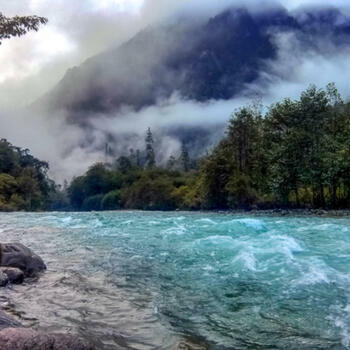 Located on both banks of the Nu River ()怒江 at 1,190 meters above sea level, the town of Fugong (福贡) possesses the mildest climate in the Nu Valley, avoiding both the scorching summer heat some regions of the valley are prone to, as well as the biting cold of Gongshan in winter. 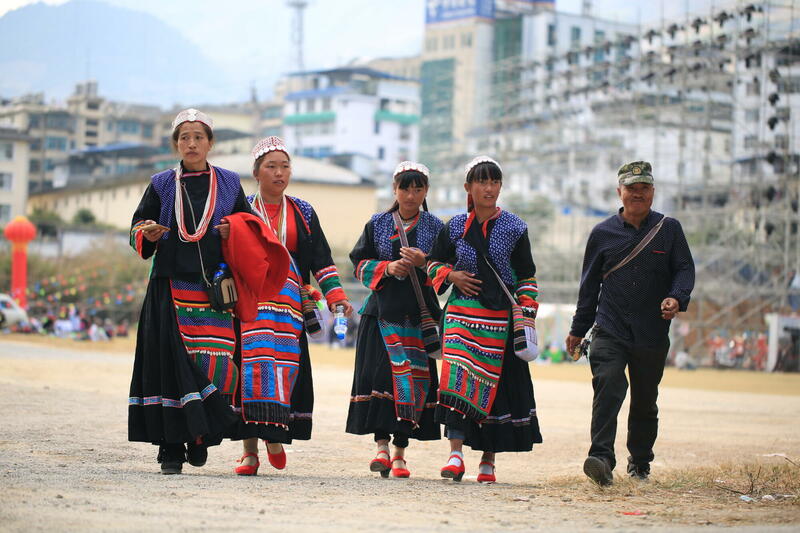 Visitors walking the streets of Fugong will notice the brilliant, eye-catching Lisu minority clothing, especially the women's head accessories and satchels. 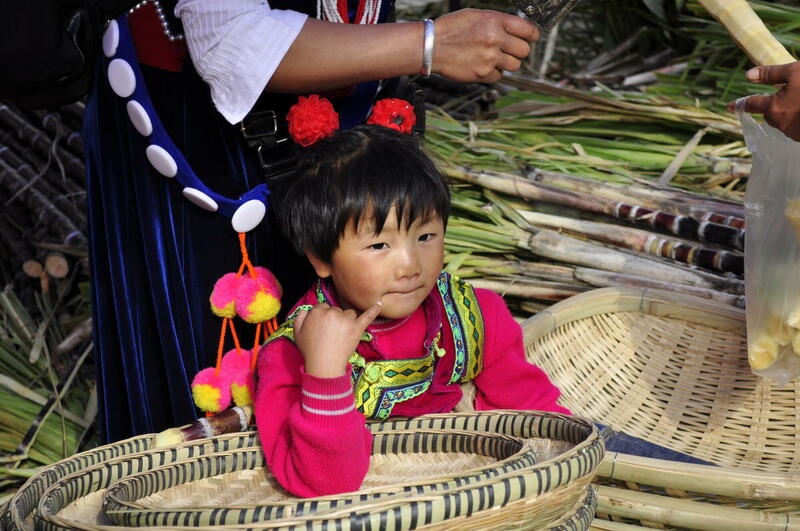 The locals are also famous for their wood craftsmanship, particularly for the bamboo tools they weave by hand. 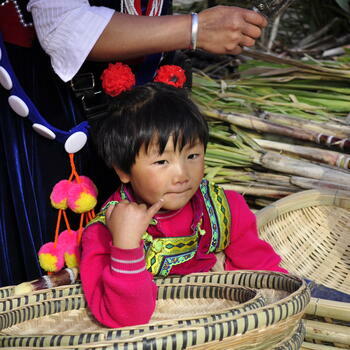 The culinary specialty here is shouzhuafan — meals eaten with the hands — which typically consists of local pork, chicken, ham, peanuts, potatoes and vegetables, all served on a wide and flat bamboo basket. 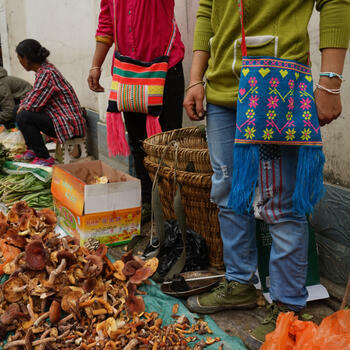 Although this is a must for first-time visitors, other restaurants in Fugong offer up an even wider, more colorful selection of often wild-grown options. The Stone Moon (石月亮) — a remarkable hole in a mountain through which you can see the sky winking back from the other side — is located 32 kilometers north of the city of Fugong. 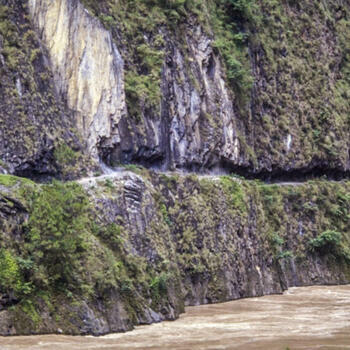 The cave is an incredibly important landmark for the Lisu people. The Lisu I encountered during a journey through Myanmar all referred to the Stone Moon as a beacon of their ancestral home. 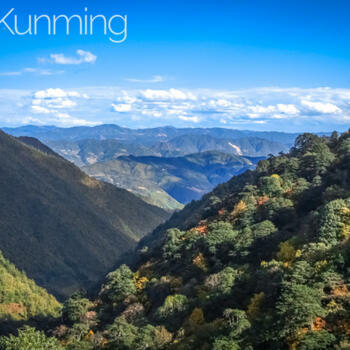 Laomudeng (老姆登) sits nestled in the Biluo Mountains 44 kilometers south of Fugong. 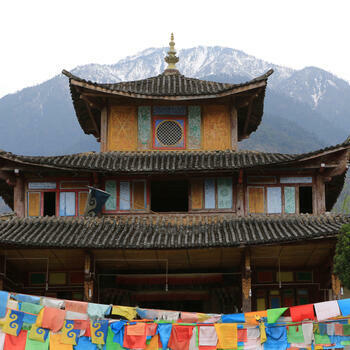 The area is a hodgepodge of minority cultures, including Bai, Nu, Tibetan and Yi, all of whom practice a variety of locally unique religious traditions. The town also offers up stunning birds-eye views of the canyons flanking the Nu River. Hike from Dayou Village (达友村) — located four kilometers north of Fugong — to Diqing (迪庆) on the banks of the Lancang River. This hike east into the mountains should take roughly three days and two nights for strong hikers. The trail passes by a large number of crystalline blue alpine lakes. 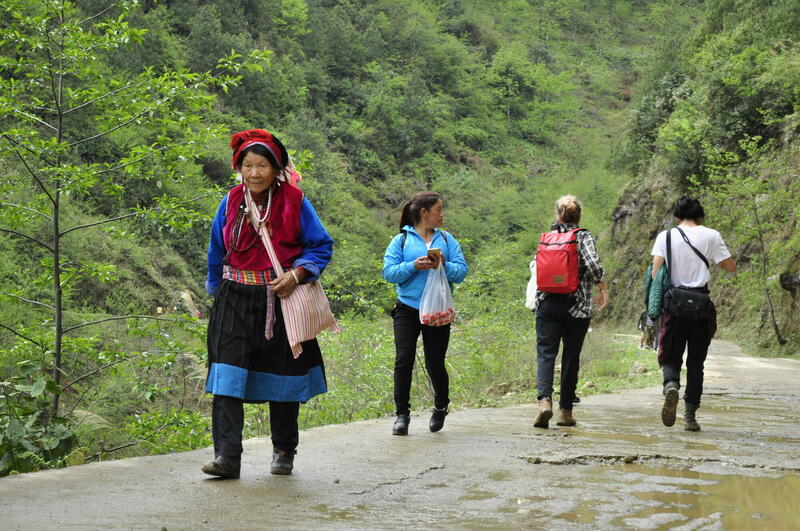 Another good choice is to set out from Laomudeng Village (老姆登村) and hike to the town of Yingpan (营盘) in the Lancang Valley. 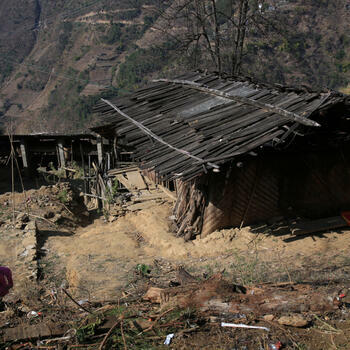 Again, the trek should take about three days and two nights. Before the 1950s, mule caravans used this path when transporting iron tools and salt between the Nu Valley and Kachin State in Myanmar. 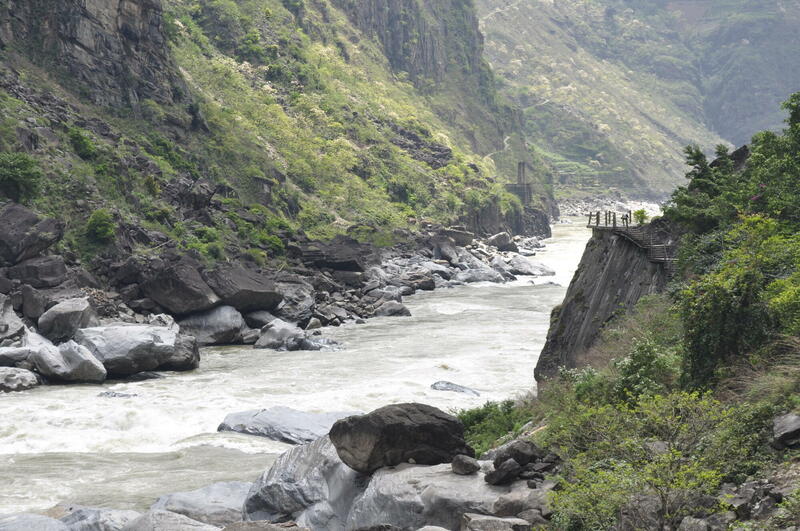 Liuku (六库), the capital of Nujiang Lisu Autonomous Prefecture, also straddles the Nu River. 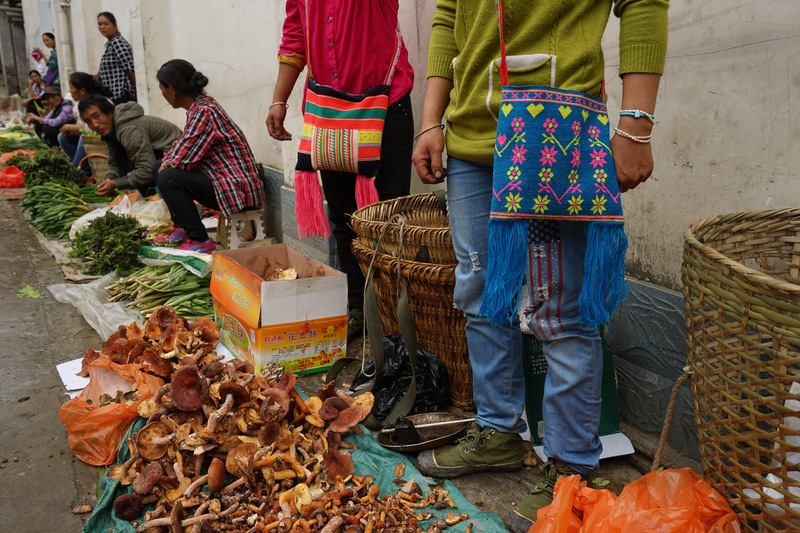 The morning market nearby an old suspension bridge — where you'll often see song and dance performances by local Lisu people — is a great place to start. For a bird's eye view of the whole town, head to the walkway located in the mountains to the east of town and head uphill. 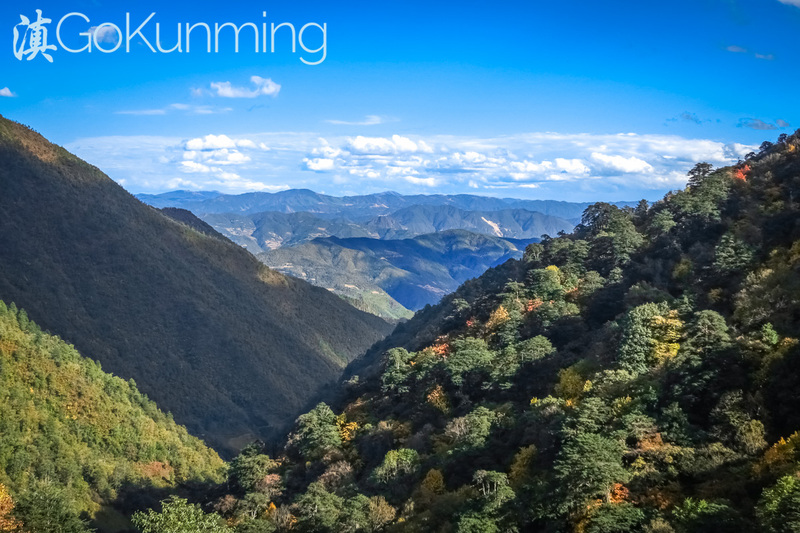 On the slopes of the Gaoligong Mountains, the Yaojiaping Nature Reserve Station (姚家坪自然保护站) is a great place to visit for those exploring Liuku. 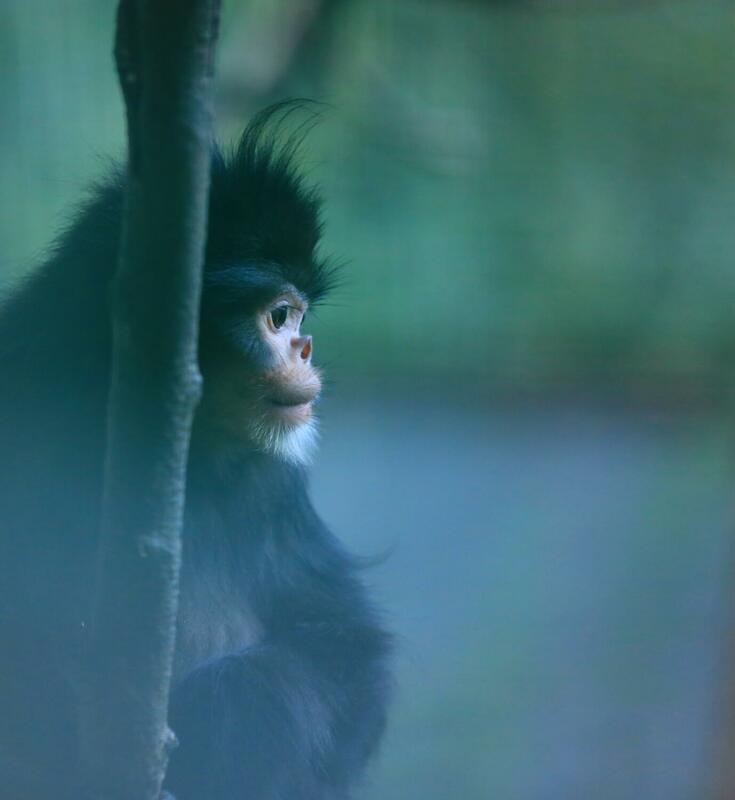 The reserve is home to a wide variety of interesting wild animals, the star attraction being rare and endangered snub-nosed monkeys. The Denggeng Hot Springs (登埂澡塘) sit 12 kilometers to the north of Liuku. They have been attracting visitors from Fugong and Gongshan for hundreds of years, and in January and February, local people often spend days camping near them and enjoying the thermal warmth. 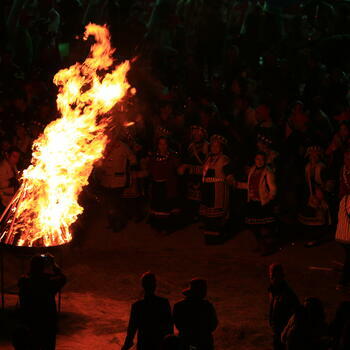 Festivals: The biggest annual festival in the Nujiang River Valley is the Kuoshi new year celebration. 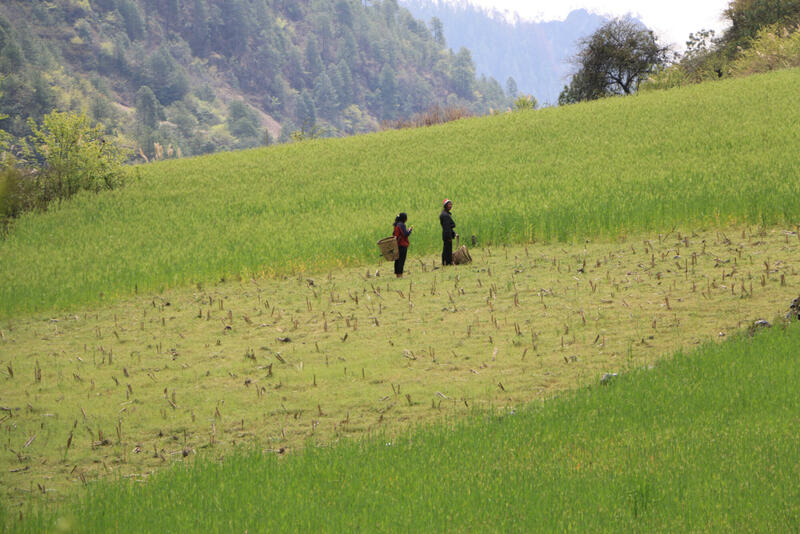 It is observed by the Lisu people, who have their own calendar which determines when they plant crops, harvest, build houses and get married. 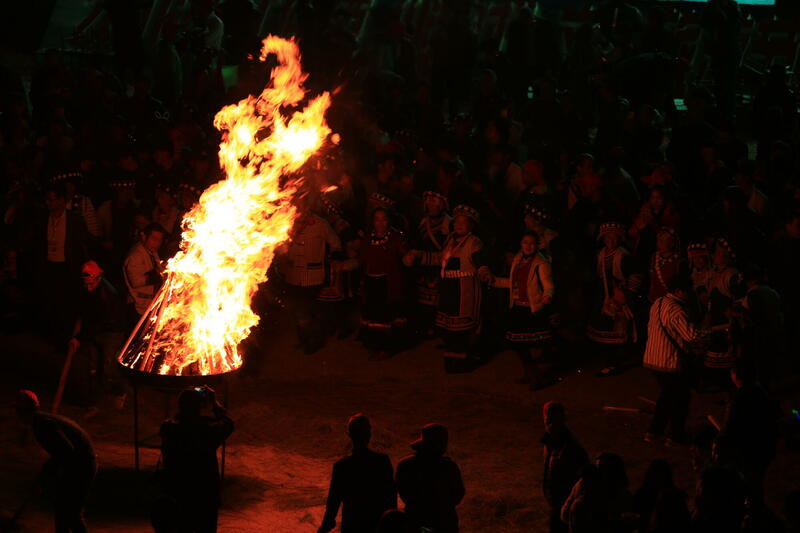 The exact time of the festival varies from place to place, but it is usually celebrated in late December. 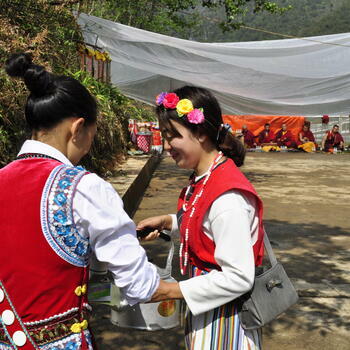 A government-sponsored gala takes place during the festival and involves a crossbow competition, stage performances and often large quantities of shuijiu. Another important local observance is Tiaoshen, an exorcism festival which takes place just before Chinese Spring Festival at Puhua Monastery (普华寺) in Bingzhongluo. 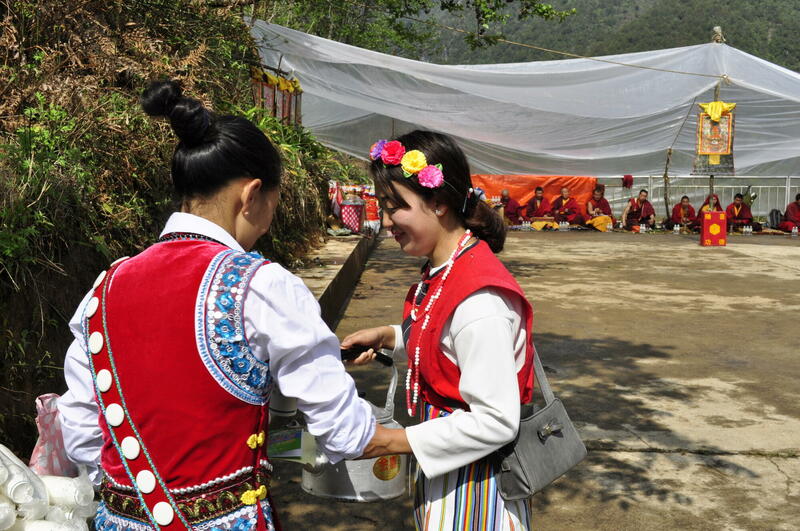 Xiannü — or Fairy Maiden — festival is celebrated by Nu and Tibetan Buddhists and Animists in Bingzhongluo on the fifth day of the third lunar month. And to wrap up the calendar year, Christmas is celebrated in churches by both Lisu protestants and Nu and Tibetan Catholics. Zip line history: Watching or even experiencing the zip lines of northwest Yunnan long used by locals is undoubtedly one of the most exciting attractions in the Nujiang Valley. No one knows how long ago people started to use them to cross the river, but the set-up is relatively simple and ingenious. Wooden rollers and hemp rope harnesses secure passengers to the zip line. The dipping U-shape of the cable creates enough momentum for people to reach the other side. Beginners often slow down at the bottom out of fear, which unfortunately leaves them with no option but to pull themselves hand over hand to the end. 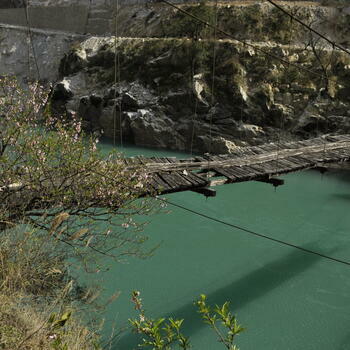 Domestic animals and useful everyday appliances such as televisions, fridges and washing machines can also be transported by zip line to Nujiang villages that are inaccessible by road. Many of these crossings have been taken down over the past several years, while others have been replaced with thick steel cables. 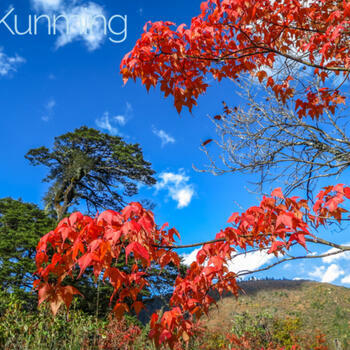 The best time to visit Nujiang is during the four-month winter period between November and March, when there is a relatively low risk of rain-induced landslides. 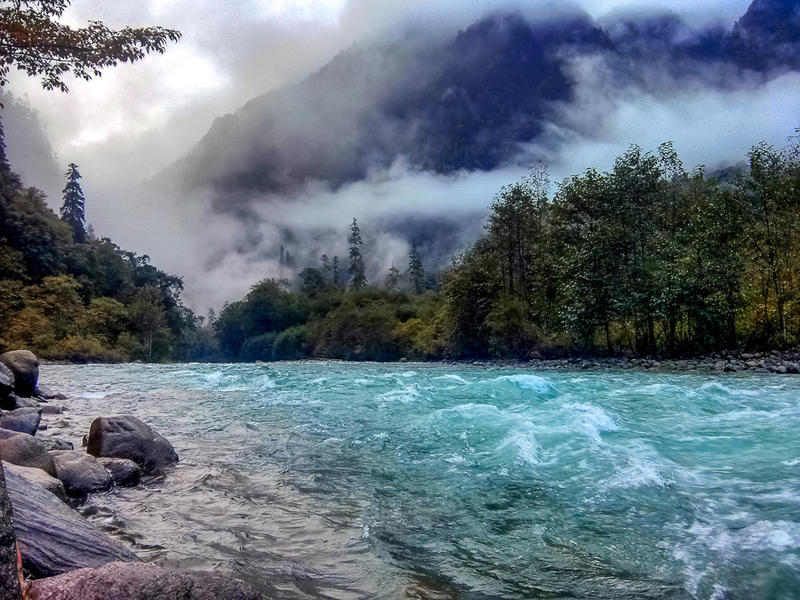 The river turns turquoise at the end of November, and then turns a muddy brown at the around March as the rainy season approaches. 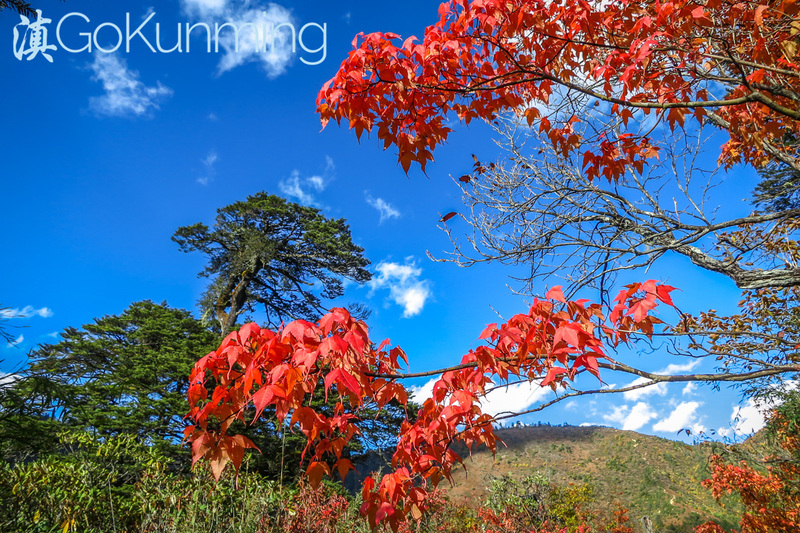 Getting there: The distance between Kunming and Liuku is around 570 kilometers. It takes eight to ten hours to drive to Liuku, and ten hours by bus. Sleeper buses from Kunming to Fugong leave at 6:30pm and 7pm and cost around 250 yuan. All buses from the Spring City to Liuku, Gongshan and Fugong depart Kunming from the city's West Bus Station. 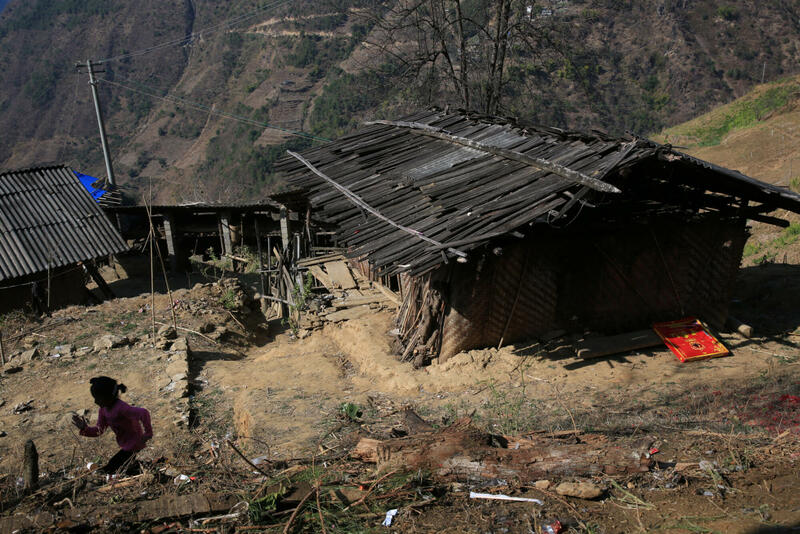 Accommodation: In Nujiang Valley towns, the scarcity of flat land results in narrow streets, which means they are often busy with car and motorbike traffic. Therefore it's not always easy to find a quiet place to sleep, but we have a few recommendations. Jiucheng Apartments (酒城公寓) in Gongshan, and Jinglong Hotel (景龙酒店) in Fugong are both good choices with reasonable prices. In Liuku, the Hongbang Hotel (红邦酒店), next to the suspension bridge, is a great place to immerse yourself in the traditional atmosphere of the old city. This is all good and useful but I think we could use some more indepth articles on the areas covered as well, including some history and discussion of how people actually live, their practical problems, etc., as well as tourist promotion. Very nice photos, of course. Hi @alienew. Check out the article slider above. And we'll definitely work to get more pieces up soon about the subjects you mentioned. OK, guess I spoke too soon. Anyone interested in the Nujiang should read Jim Goodman's' GRAND CANYON OF THE EAST, available at Mandarin Books.